April | 2008 | How Can I Keep From Singing? I try to avoid reading the Velveteen Rabbit to Lauren but she asked for it today. It used to be fine to read it but ever since Nathan has died it always makes me cry at the end when the rabbit is thrown out and then transformed by the fairy into a real rabbit and then sees his former owner – who can’t recognize him in his new body. It may be dumb, but I see it is a parable about what it really is to depart this earth and be made Real and that love lasts forever and well beyond the bounds of the earth and this life. Today marks nine months since Nathan died. I usually try not to pay attention to dates because no one day means any more than the other as far as what his loss means to me. Today, however, I went to a funeral and noticed the date. The funeral was for a fellow choir member of mine and former basketball friend of Luke’s. He was 76 and singing every Sunday until he went into the hospital a few weeks ago and playing weekly basketball until the last year or so. 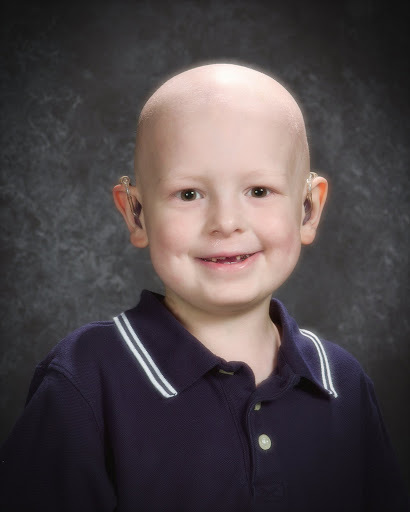 When he would see Nathan he would compare hearing aides with him. I was glad to learn more about his life today. I had bible study at church anyway this morning and Lauren was in the nursery so that enabled me to go and I am thankful for that. It was a bit hard to be at this funeral. The funeral folders had the same mountain scene on the cover as Nathan’s and at the very end the soloist who sang at Nathan’s service sang “How Great Thou Art”. She sang that song at Nathan’s service and that is when Julia just started wailing in sorrow. So…. a bit hard but I got through it. Several people have asked if I have tried Ambien. I am quite reluctant to do that because one of the possible side effects of Ambien is doing all kinds things while you are sleeping. Well – I do that already without medication so I am quite afraid of what more I would do on it. So – I think I will stick with the Lune$ta for now. 30 days (nights) of Lunesta – $134.43 with my health insurance “discount”. Would you pay $4 + a night for OK sleep? Without it I have been getting almost no sleep. I just toss and turn all night. With it I think I toss and turn somewhat less but more than that I seem to have no memory of how I slept. Luke will tell me but I have no clue. So – it is definitely better but it is not a “good night’s sleep” either. It would see more worth the money if it were. When I started taking it, it worked much better. We also had a different insurance plan and it was $35 for 30 days. We also paid TEN times more per month for our insurance premiums. I am a CPA. I can do the math. I knew when we got this plan that it would be more out-of-pocket. Somehow it is easier to never see the money than to have more each month yet pay enormous amounts for things. I got as much as I could before the year ended so that is why I am just now refilling it. I left it there and did some research but I will go back and buy it tomorrow. At least the money is coming out of a HSA plan not my regular credit card. It make it a little easier. As many of you know, Nathan loved trucks. He was very interested and knowledgeable about what each type of truck could do. He loved to watch videos that explained how things worked. He had videos about all kinds of vehicles and also about farming, building houses and roads etc. All his books and videos still sit around the house. Julia would watch them with him at times but has no interest of her own. I have thought about donating them to the cancer clinic. I am glad I have not because it seems Lauren is interested in them. She will go pick out a book or movie and really enjoys them. She will see trucks and trains while we are out and about and comment about them. We saw a truck with lumber today and she asked what was in the truck and so I told her lumber and that lumber was wood. She said, “oh, that is the wood for building houses!” and then went on about using wood to build houses and them people could live in them, etc. She hasn’t yet watched Nathan’s building a house video so I promised to show that to her soon. It could be a passing phase but for now it makes me so happy to continue to be able to enjoy these books and movies and have conversations about how things work with one of my children. You people are the best! Thank you for all the support and ideas. As you can see I am now in possession of the school picture. I emailed Nathan’s teacher and she didn’t have it in her files. She asked one of the school secrataries, Anne. Anne knew Nathan well. He would sit in the office and chat her up during reces when he wasn’t up to going outside. She let him sit on a stool next to her desk. Anne called Lifetouch and I was told yesterday they were sending a package that I could order from and I should expect it in 7 – 10 days. Instead, Fedex just showed up at the house with a package with many portraits and a CD of the image! The CD case was specially designed for such a situation. I wish there never was a need to send out pictures to bereaved parents but I am so grateful that Lifetouch provides this service. As far as the computer – I am now going to give the hard drive to my friend’s husband who is an electrical engineer. He has graciously offered to see what he and his coworkers can do. I am not expecting to be able to recover the data (there are more pictures on there I have lost) but I have come to terms with that. I have been able to hook it up to my desktops but neither will recognize the drive. If the data can be recovered that will be awesome but I am not counting on it. Thanks for everyone’s help. I have determined that I got the photos for the few days we were home in mid-September and scanned it. It is probably on my old computer. No idea where the hard copy is yet – I have looked some more but really have exhausted all the places it could be in this house and crawlspace. As for the photographer – it is LifeTouch. All the schools here use them and they are national. There is no way they will be able to find it without a reference number and even so, it has been more than a year so I doubt they keep them that long. I will check with his first grade teacher. As for the old computer – It crashes when I boot it – the hard drive does spin and then starts to load windows and then I get a brief blue screen of death and it reboots. When I boot it using a windows recovery disk it sees the hard drive but sees it as empty and wants to repair windows on it so I don’t do that for fear there is data there and it would just overwrite. Sounds bad though. I am looking for a laptop/desktop IDE cable but I might have to order one. I don’t think there is much chance that there is any data left on there but I may be able to hook it up to my desktop and see if I can access it. That would be the end of the line for my expertise. I have heard about physically taking apart the hard drive to get the platter and moving it to a new enclosure but I know that is way beyond me. I cannot find Nathan’s first grade school picture! Picture day happened to be on of the five days he made it to school the first semester. After that we were off to NYC. I have no memory of how we got the pictures and if they were sent to NYC or waiting at home in December. Both Luke and I have a clear memory of seeing the pictures and what he was wearing and the background color. So – we have had them. I think I may have scanned them or took a picture of them but there is no file anywhere. I did break my computer in NYC and lost some data so maybe they were there – but the hard copies should still be in this house. I had gone through files and pictures and I have a new desk so really there aren’t many places for them to be. I am frustrated. It isn’t a great picture but pictures are all I have left. p.s. if anyone has any expertise with retrieving data off a laptop hard drive that is compromised – please let me know. I am fairly resourceful and have tried all the common tricks of the trade. It just won’t boot – I definitely damaged the drive when I beat on it.